A survey, published today, describes where damage has occurred, with major infrastructure networks including roads, paths and buildings being damaged. Farmland and industrial estates have also seen the significant loss after the floods, which claimed two lives on the coast. The emergency services responded to 300 call outs over the weekend. The cleanup and repair operation is now in full force and Marbella Town Hall has confirmed that it will be appealing to Central Government in Madrid for funds. The worst weather in 25 years caused many rivers to burst their banks. 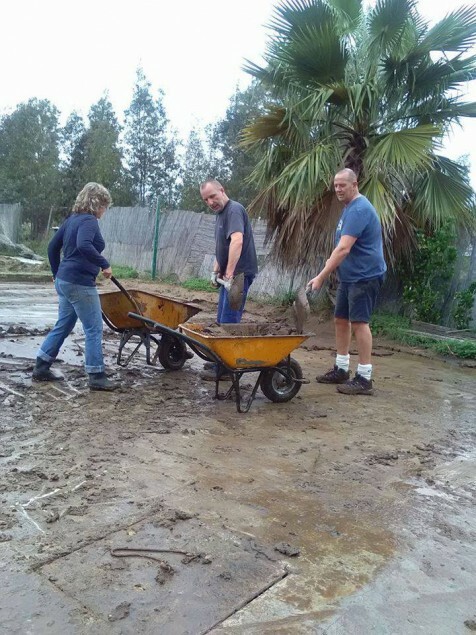 The River Gardens urbanisation in Nueva Andalucia was particularly hard hit, with 40 cars being washed away.